The wide open, easy slopes are suitable for beginners and intermediates. More experienced boarders will enjoy the three funparks (whole area). 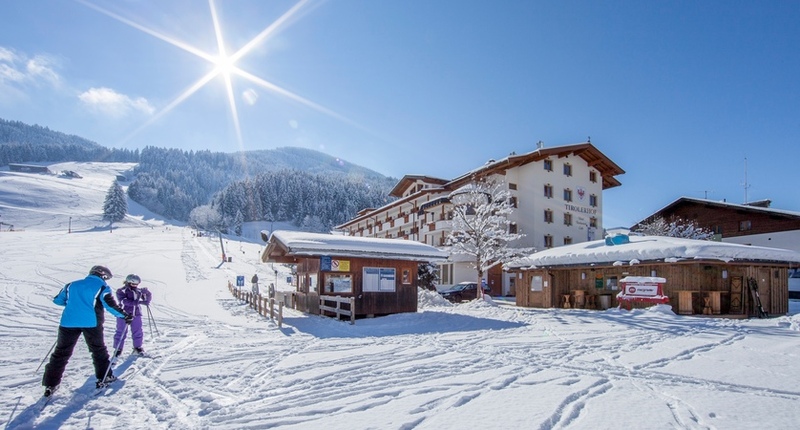 The Hotel Tirolerhof is an attractive, family-run, traditional hotel with excellent facilities, a popular après-ski bar and an unbeatable location in Oberau. Originally an old Monastery and now full of warmth and character, the Gasthof Kellerwirt is rustic and full of Tyrolean charm and ideal for those who prefer a smaller, more informal and cosy hotel in a central location in Oberau. All rooms were recently refurbished and are of 4 star quality. Tobogganing is available in Oberau every Wed and Thurs for approx €5.50-€8.50 per person. The High Rope Course costs approx €40 for Adults and approx €35 for children 14 & under. *Available 6Jan-1Feb & 23Feb-22Mar. For complete beginners. Free with guest card in Wildschönau Valley.